This story is based off of the meeting between summoners playing for Zaun and Bandle City during the Hextech Revolution while trying to decide if Zaun would vote to aid Bandle City in Nefara’s attack. Most of what is told here is a reference to parts of the real life conversation that took place. Special thanks to harrythepenguin and ottoman 714 in their efforts to making that original treaty. “Silence! Let this meeting come to order,” the summoner yelled out over the dull roar of the many conversations that were taking place in the room. Several yordles were huddled in a corner discussing the mothership in hushed tones. Singed discussed future plans for experimentation of pyrikhos with Viktor in another. There were many summoners scattered about the room talking among themselves. The conversations slowly grew quit until finally going silent. The crowd then began to settle into their seats, with the representatives of Zaun on the western side of the room, and the Bandle City representatives on the Eastern side of the room. There had been much debate and argument over these seating arrangements. Neither the yordles or the Zaunites could agree on which side should get which part of the room; both sides seemed to want to have the north, east, west, south, and center parts of the meeting chambers that the Council had set aside for the negotiations. Then after they had finally agreed on where each side was allowed to sit, a new argument began when they realized that they had forgotten to set aside room for the summoners that the Council had placed in charge of the meeting. 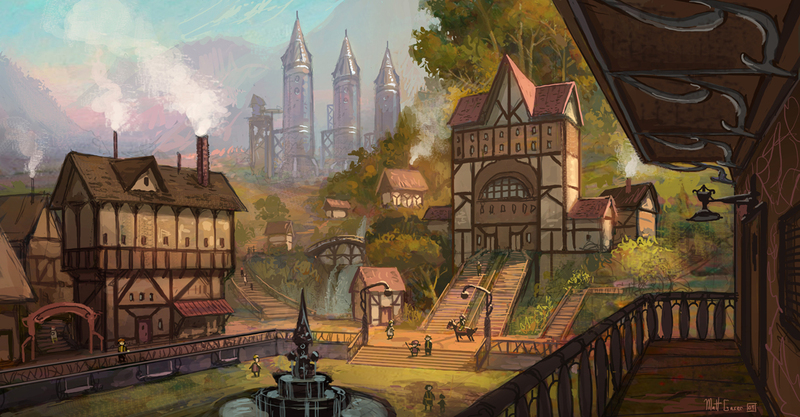 After hours of arguing, compromises, discussion, even some all out brawls, the two factions had agreed on Bandle City taking the western side with Zaun on the eastern side, and the summoners that represented the council placed between them. However, immediately after reaching this arrangement, a strong breeze began blowing from the east, and began carrying the stench of Singed’s foul chemicals across the entire room. He absolutely refused to dispose of his concoctions, despite several yordles passing out from the fumes. After three more fist fights and several hours of debate, the two sides agreed to move Zaun to the west, Bandle City to the east, and leave the council’s summoners in the center. The beginning of the negotiations had to be delayed until the next day though, as the day had been spent by the time everything had been resolved. The summer addressing the crowd sighed quietly. “We meet here in the Institute of War today to discuss under which terms, if any, can be agreed upon so that the nation of Zaun will aid the state of Bandle City with the looming threat of an invasion of undead soldiers led by the lich known as Nefara. Let the record show that this meeting was organized by the Bandle City summoner, Harry, who some call ‘The Penguin’ due to a Harrowing costume they once wore. The official treaty, should one be made, will be written by the Zaunite summoner Ottoma N714” The summoner standing nodded towards first Harry ‘The Penguin’ and then to Ottoma N714. “We are here and are eager to settle this matter as quickly as possible,” Poppy replied, “We hope we can come to an agreement with little to no further arguments so that we may begin preparing for the undead hordes.” She was accompanied by the pilot Corki, the scientist Heimerdinger, Rumble, Tristana, several yordles who held official governmental positions, and various summoners who had pledged their loyalty to Bandle City in this current conflict. All eyes in the room turned to focus onto Heimerdinger. Viktor’s comment had clearly been targeted towards him. He continued to sit there passively, waiting for Viktor to continue. The summoners that sat at the Council’s table began to quickly mumble and discuss quietly the issue with one another. They knew that there was truth to Viktor’s statement, but were unsure how to proceed. “Concerning Heimerdinger,” Rumble interrupted, “I couldn’t agree more. His presence here is clearly against the terms the Council set for this meeting and he must leave or be removed immediately.” He smiled smugly while staring at the yordle scientist. He had been opposed to his appointment as one of the Bandle City delegates since the beginning. Heimerdinger rose, whispered something into Tristana’s ear, and left without a word. “Zaun still has more objections we wish to bring up before we begin the meeting.” Singed interjected. Warwick grunted disapprovingly in response but made no effort to argue with the summoner. “We have,” Singed replied. He was accompanied by Viktor, Warwick, Zac, several summoners allied to Zaun, and various ambassadors. It was three hours into the negotiations. Things had been going slowly, to say the least. “Very well, Zaun will not assist in repairing damage sustained to Bandle City from the undead’s attack.” Tristana finally gave in after a long debate over this particular issue. On the seventh hour of negotiation, yet another issue was brought up that caused contention. “What do you mean you want our corpses, are you trying to threaten us with war?” Corki yelled at the Zaunites. The three summoners that sat at the Council’s table just sat there. They had very little success in speeding the negotiations along or trying to keep the two factions from fighting with each other over what seemed like every issue that had been brought up. They didn’t see why this issue would be any different. The delegates from Bandle City stood there horrified and shocked. Was Zaun actually demanding that they hand over their dead for Zaun’s mad scientists to desecrate the bodies with experimentation. “What? Why would you do that with the corrrrrpses? Why do you want to honor them? You yorrrrrrdles have some verrrrry strrrrrange customs for warrrrrr.” Warwick was scratching his head in confusion. Corki was growing angry and frustrated. He wanted to punch that half-wolf in the gut. His face was bright red, some of the delegates began to half expect smoke to start billowing out of his ears. “Oh, well that I believe we can agree to.” Corki looked to the other delegates who nodded their approval. Ottoma N714 sat back down and began to write this new term into the document. The veteran pilot stroked his moustache as he thought, “As long as Zaun shares the results of that research with us.” Ottoma began scratching out the words he had just written down. “Now please calm down,” a summoner that represented the Council said, “we can surely find a compromise that will meet both of your demands.” No one heard him however; they were too preoccupied with yelling at one another. “Actually, I think we’re good.” Zac replied. The delegates all rose and moved to the center of the room. Everyone stopped and looked towards the doorway, where the noise had originated from. Mundo stood there, tongue dangling out of his mouth while waving his cleaver in the air. What is it now? Rumble was tired and wanted the meeting to end along with everyone else who was involved; the day of negotiating had worn everyone out. “Mundo has to sign all treaties for them to be real; it’s in the rules.” He pulled a notebook out of his pocket that was labeled in crayon “Te Roolzez.” He opened up the book and turned to a page inside it. Mundo ran up and scribbled his name largely onto the treaty. The delegates from Bandle City and Zaun followed him and likewise signed. In response to the imminent attack against Bandle City consisting of undead soldiers and led by the lich Nefara, the governments of Zaun and Bandle City agree to the following treaty including all the terms listed within said document. They are to obey the terms listed and enforce them upon the respective official governments as well as the citizens who live under the jurisdiction of said governments. The governments of Bandle City and Zaun also agree that the representatives who sign this document are official delegates of their governments and have the powers necessary to sign and ratify official legally binding treaties that their governments are required to follow upon being signed by their delegates. This treaty is also recognized and made legal by the Institute of War, whose approval of this treaty is shown by the signing of the summoners that the Council officially delegated to oversee the drafting and signing of the treaty. Their signatures also verify that all the representatives of Zaun and Bandle City followed the proper procedures that were set by the Council for the meeting where this treaty was drafted, and that all legal procedures set in Runeterra were followed in that drafting. The following terms having been agreed to by both Zaun and Bandle City and are to be followed by their respective governments as agreed to by the signing of this treaty. Zaun will order its military force known as, and hereby referred to as, The Hexkorps to help defend Bandle City from the impending attack from an invasion force consisting of undead soldiers led by a lich known as, and hereby referred to as, Nefara. The Hexkoprs will leave Bandle City intact and functional after said invasion is driven off. This includes the banning of accidental and intentional damage that The Hexkorps could cause to Bandle City and its citizens while fighting to defend the city. This clause also bans Bandle City from attempting to use damage to Bandle City or its citizens caused by a foreign power that is not an official force under the command of the Zaunite government as a means to break the terms agreed to in this treaty. Zaun cannot order to bomb, sabotage, harm, or attempt to disable Bandle City in an attempt to slow, stop, or reverse their research progress or military forces without provocation. Zaun will not engage in espionage or spying against Bandle City. This includes Bandle City’s government, research labs, and private citizens. All corpses of the undead army that attacks Bandle City be surrendered to Zaun for experimentation and research. After much debate and discussion, it has been officially decided that Amumu will not be counted among said corpses. Nefara’s body will be surrendered to Zaun for experimentation and research if she is successfully captured. All reasonable efforts must be taken to take Nefara’s body intact and in its animated undead state. If it Zaun and Bandle City fail to take Nefara’s body intact and in its animated undead state, whatever it state Nefara’s body is in must still be surrendered to Zaun. Bandle City will grant the only other research rights for Nefera and her undead soldiers to Zaun and will enforce said rights against Piltover and Demacia. Bandle City will not engage in spying or espionage against Zaun, including Zaun’s military, government, and corporations. This document, having been approved by the Council leading the League of Legends, is now League law. Breaking of this treaty is the same as breaking the League’s edict and shall be swiftly met with due punishment. Let the League’s will be done. Heh, this brings me back to those tense days of negotiations. It would not be a lie to say that this accord literally took hours of arguing over the course of 2 days or so, with the treaty being remade one or two times due to disagreements and new complications. But it was a glorious time for politicking, and is a really fond memory that cemented my investment in this community.